Thousands of children in Wisconsin would lose access to food stamps under the proposed federal farm bill, according to a memo released by the Wisconsin Legislature’s nonpartisan budget office. The GOP-backed bill has passed a House committee and is expected to come up for a vote in Washington later this month. Under the proposal, Wisconsin and a number of other states would be barred from offering automatic food stamp benefits to families that are eligible for other support programs, including cash assistance and initiatives funded by the Temporary Assistance for Needy Families (TANF) program. According to the memo from the Legislative Fiscal Bureau, the state Department of Health Services estimated in 2017 that if those standards were applied, about 11 percent of Wisconsin food stamp recipients, or roughly 76,000 people, would lose eligibility for the program. About 23,000 of those would be children. 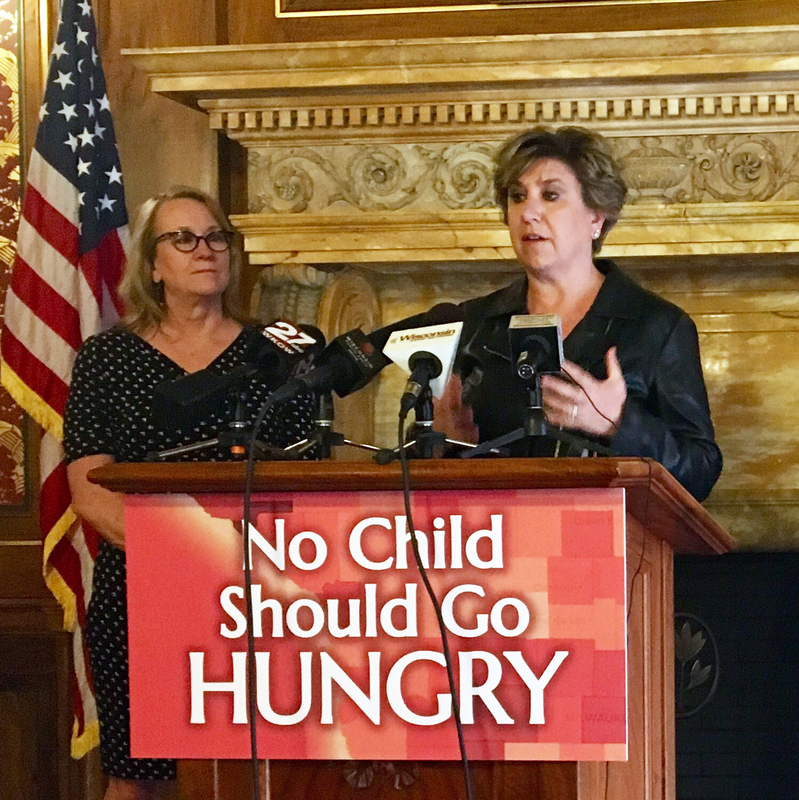 "When parents have to worry about who is going to eat tonight, when parents have to decide to serve smaller meals or skip meals themselves in the Dairy State we have a significant problem," said Sherrie Tussler, executive director of the Hunger Task Force, a statewide advocacy group, at a Capitol press conference Tuesday. DHS also noted in 2017 that children who lose food stamp benefits would also likely lose free and reduced lunch eligibility at school because many schools link eligibility for the two programs. Democrats decried the potential change as one that would hurt kids’ performance in school. "You can’t concentrate when your belly is grumbling," said state Senate Minority Leader Jennifer Shilling, D-La Crosse. "You can’t concentrate and do well when you don’t know where your next meal is going to come from." Shilling said Wisconsin lawmakers would have to take action to supplement food assistance programs if the federal proposal is approved by Congress and signed into law. Food stamps are paid for by the federal government. Administrative costs are split roughly in half between the federal government and the state. During the past legislative session, state lawmakers passed a number of measures aimed at reducing fraud and increasing accountability in public benefit programs, including food stamps. The new laws increase work requirements for food stamp recipients and set new limits on the value of personal assets, including cars. Some of the measures require federal waivers before they can take effect.